Maybe Kim just needed a better doctor. A year or two ago, in my blog “Great Beauty Products You’ll Want to Try” about products and procedures in Mexico, I described platelet-rich plasma therapy, the so-called “Vampire Facial” and that I was planning to try it. Fortunately, I didn't hear about the treatment from articles in the American press (see right). Instead, during my initial stay in Mexico, the first thing I noticed about my now-friend Lupita was her amazing skin - smooth, clear and flawless. I couldn’t even begin to guess her age. How old can a person with perfect skin be? When I had asked her secret, she told me that she regularly received plasma therapy treatments, where your own blood is separated by its platelets and plasma in a centrifuge. The plasma is then injected with needles as a natural filler. I loved the idea that unlike Botox, you can’t have a reaction to it. After all, it’s your own blood, not one of the world’s deadliest poisons. Now on a mission, I asked several of my Mexican friends with lovely skin their secret and learned that indeed, they all did it. TRATAMIENTO DE CELULAS MADRE - (This is how you will google the treatment if you want to schedule a facial while visiting Mexico). The plasma-rich facial treatment isn’t illegal of course, but it took so long to get names of the doctors my friends went to went to that I began to suspect it was underground. I would ask the question of where to go for the treatment, there would be a pause in the conversation then, “Oh look! There’s Isabel!” Or they'd faint. I finally extracted a referral from a stunning Polish girl in town who got a big laugh out of my conspiracy theory. When I went online to see what was involved in the procedure I was horrified. Women (most famously Kim Kardashian) with faces bloody from having their blood re-injected and paying $1,000 -$2,000 per treatment! For their own blood? In the three treatments I had, not a drop of blood was shed. Why should there be? The doctor takes a syringe of your own blood from your arm. The blood is then put into a centrifuge to separate the plasma from the platelets. She injects the plasma, not the platelets. Am I missing something here? You shouldn’t eat any fatty foods and should drink a lot of water beforehand. I hadn’t been given any pre-procedure instructions (which is "very Mexico"). Luckily, all I’d had was a fruit smoothie and a glass of water with some lemon juice in it that day. What they want is a clear, cloudless plasma to inject. "Perfect0," she told me. My blood was drawn and while it was being centrifuged, my face and other areas to be treated were cleansed, exfoliated and toned as they would be for a traditional facial. At first, the doctor made deeper injections of the plasma in a few more deeply-lined areas, like around my mouth which were a little more painful, similar to Botox injections. Then she moved on with what felt like a ball-point pen equipped with a micro-needle and made hundreds of tiny stabs in my face (Clearly, I'd want someone with a little lighter touch than Kim's doc had, but I guess that's Hollywood), then on to the chest and hands, injecting the serum to stimulate collagen growth and smooth my skin. The jabs were practically painless, but then needles don’t bother me much. According to my doctor, if done properly, there shouldn't be any blood during the injections. She admitted it did happen from time to time, a few drops maybe, certainly not the bloody mess you see online in articles about plasma therapy. With a little of the remaining plasma, my doctor created a gel and smoothed it over my face like a masque, instructing me to leave it on for the night. The gel tightened my now-glowing skin. Afterward, not a single person thought I'd gone through a windshield. More intriguing was that she noticed a terrible burn I had on my right ring finger from a lid coming off a teapot while pouring my tea. Steam burns are the absolute worst. My finger was about half-way healed and still a little blackened. She smoothed some serum on the burn as well. It healed beautifully, only the slightest shade of pink darker than the rest of my hand. Plasma therapy can be used anywhere; face, throat, hands or for scars. If fact, I think that it was originally developed for burns. My friends recommended that I get several treatments, spaced a few weeks apart, to get the full benefit. I got three. My friend Mary got six. We could afford to. Each therapy cost only $70. I even got a special, three for the price of two and a half. My salon in Denver has begun to offer them at the “bargain” price of $500 as opposed to $1,000. They could not possibly be any more professional than the treatment I received in Mexico. The results? My face definitely looked fuller, enough that I felt I could forgo the much more expensive Sculptra injections that I get every year or two in the U.S. A couple of people who had no idea I’d had the therapy made remarks on my appearance that led me to think that the improvement wasn’t my imagination. This type of injection doesn’t take the place of Botox for what it can do for crows-feet or forehead wrinkles. I’d suggest a light combination, maybe combining this therapy with Botox for crow's feet every year or two if you feel you need it (studies indicate that if you do Botox too often, it loses its effectiveness). All of this should be done in Mexico of course, where you can get plasma therapy for $70-80 a treatment or your entire face “done” with Botox by an actual dermatologist rather than a nurse for $250 (about half of what you pay in the U.S.). Once a year I go to my dermatologist in Mexico who does the best Botox treatment I've ever had, and certainly gives me my money's worth. I’ve written many times that a person could come to Mexico for a vacation, get some dental work, some procedures like platelet-rich therapy and/or Botox and still come out ahead financially - without all the Hollywood drama. Most recent: At an average of $114 a day for non-medical home healthcare in the U.S. even while many are trying to save for their own retirement, could living in Mexico be the answer? Next up: I can't believe I just said that: Uber Confessions. 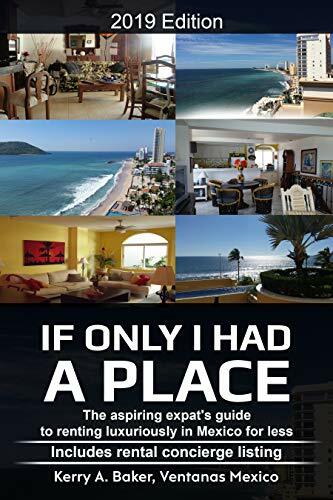 Hola - I'm Kerry Baker, a partner with Ventanas Mexico and author "If Only I Had a Place," on renting in Mexico. Renting long-term in Mexico is very different, despite what realtors and AirB&B hosts may tell you. In my book you will find a fluid system that will enable you to rent well every year for less while establishing an infrastructure for your the best, richest expat life. 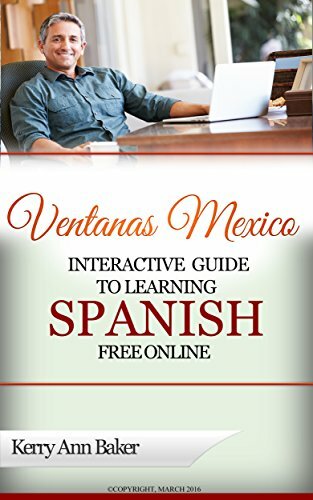 The "Interactive Guide to Learning Spanish Free Online," a curated guide to the best free tools on the web, researched from over 300 sites, organized into lesson plans, or create a new plan every day, like I do.